THIS EVENT IS SOLD OUT. NO MORE TICKETS ARE AVAILABLE. 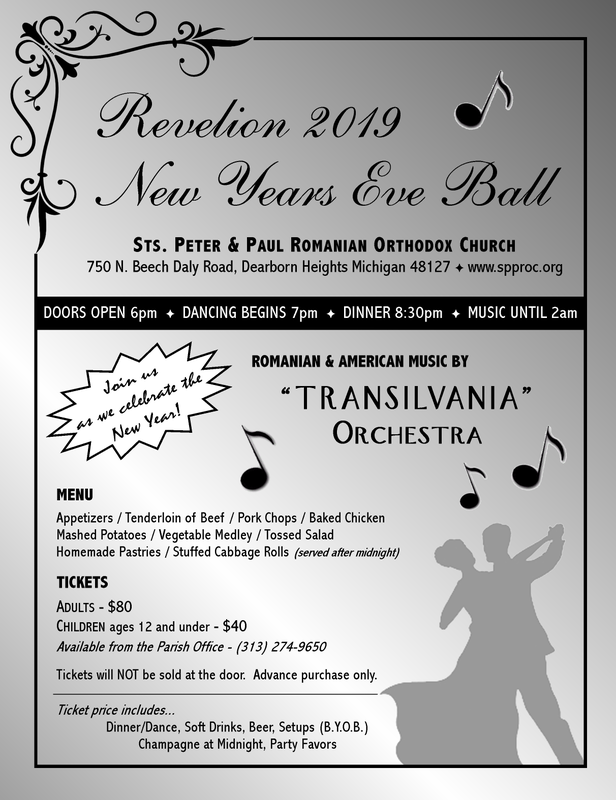 Tickets are now available for our annual New Year’s Eve / Revelion 2019 party on Monday night, December 31. Join us as we celebrate the new year in fellowship at this family friendly event. Tickets are available for purchase in the hall after services on Sundays or from the parish office (313-274-9650). There are only a limited number of tickets available, so call soon if interested.